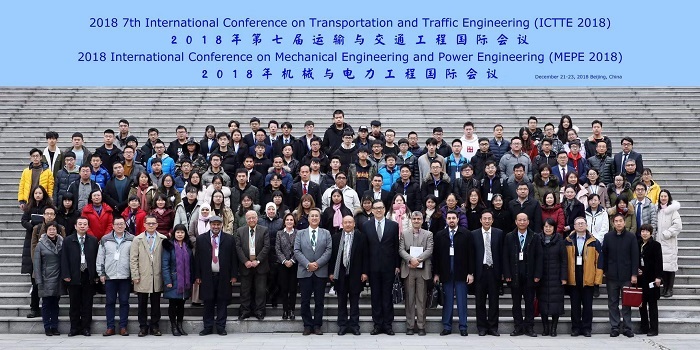 2019 2nd International Conference on Mechanical Engineering and Power Engineering (MEPE 2019) will be held in Auckland, New Zealand on December 19-21, 2019 together with 2019 8th International Conference on Transportation and Traffic Engineering (ICTTE 2019). It is supported by University Lusofona, Portugal etc. Welcome experts, scholars, etc. in related areas to submit your paper. It dealing with new developments in theory, analytical and numerical simulation and modeling, experimentation, demonstration, advanced deployment and case studies, results of laboratory or field operational tests. Plan now to be part of this exceptional conference, as an attendee, event sponsor, or exhibitor. MEPE 2019 is where you will meet and network with energy leaders, business innovators, researchers, academics and policy makers from across the globe. Accepted papers will be published in the ICTTE proceedings, and submitted for EI Compendex, Scopus,Thomson Reuters (WoS), Inspec index, et al. Welcome you to submit the paper or abstract by Electronic Submission System. April 15, 2019 news! MEPE 2019 submission system is available now. Welcome to submit your papers. April 10, 2019 news! MEPE 2019 conference has been online.